"The restaurant is French through and through," said our jovial server as she filled our water glasses and gave us a thorough spiel about the evening's menu. That's evident everywhere at Bistro de Margot, from the name to the black-and-white photographs of the Eiffel Tower to the menu — which includes descriptions en français, followed by English translations. Diners can order escargots or steak frites, and all of the wines hail from places such as Burgundy and Provence. 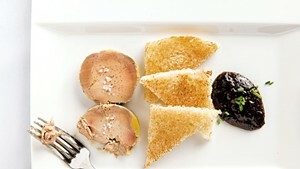 Yet those who associate French cuisine with snobbery will be happily surprised by the playfulness of the place. Located on College Street in Burlington, in the spot that many remember fondly as L'Amante, Bistro de Margot has been open for nearly a year, and it manages to be elegant but casual; dishes are precise and finely crafted but not fussy. Before long, we were joking with April (she didn't mention her name, but it was printed on the bill) about licking the sauces off the plates. "We encourage it," she commented with a grin. We didn't go there, but we did put the bread in our basket to good use, sopping up parsley-flecked garlic butter with a hint of snail and rich demi-glace that was served with lamb chops. Our favorite dish, however, was the one that came with a light and lovely purée of roasted bell peppers, accented with fish stock flavored with white wine and shallot. That summery sauce accompanied a trio of perfectly cooked scallops — the sumptuous kind that restaurant people refer to as "U-10s" because there are "under 10" of the big guys in a pound. Seared brown on top and just warm in the middle, the mollusks were fresh and sweet. Below each of those was a cake of tomatoey polenta, cut to scallop size. Both scallops and polenta had a crispy exterior and a creamy center, and when I ate them together, the texture of the cornmeal played pleasantly against the smoothness of the seafood. Tender spears of asparagus, tiny whole peppers and little bursts of microgreens formed the vegetal component of the dish. Yet it was the slices of pungent chorizo that really brought it all together. The brilliance lay in keeping the punchy garlic-and-paprika-laced sausage on the plate rather than incorporating it in every bite. The flavors of an ingredient as dominant as the Spanish-style sausage can easily take over, seeping into sauces and overwhelming their delicacy. Not here, in part because the chef cut the chorizo in thick pieces and scattered it on top of the other components, instead of cooking it with them and allowing it to infuse the dish. I ate a bite of scallop and polenta, a bite of asparagus, a bite of chorizo. The flavors melded yet stayed distinct. I did it again. In a subsequent interview, chef Hervé Mahé said the dishes at the bistro, which is named after his grandmother, are based on his moods. There are "many French cuisines to pick from," he noted. 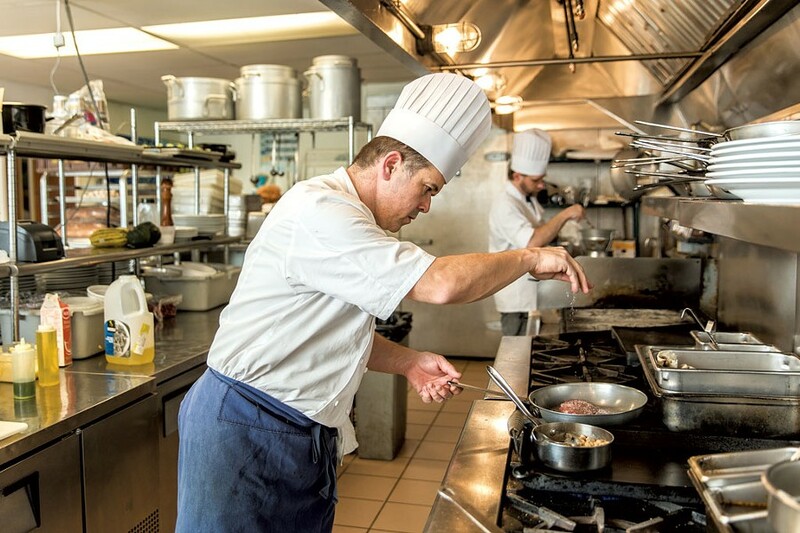 Having lived and cooked in many parts of the country, from Alsace to Vichy to Paris to Lyon, he can bring influences from each to bear on his cooking. 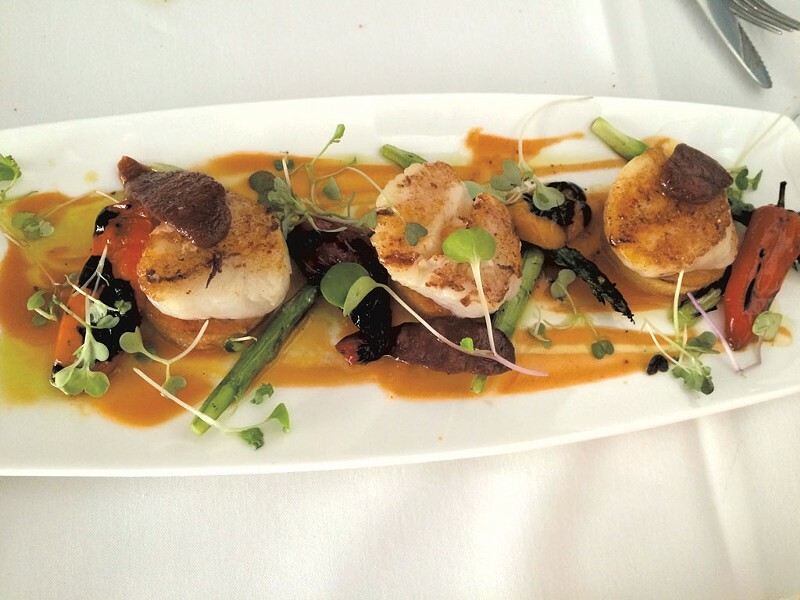 "With the scallop, I wanted something that was light," Mahé said. "OK, so I use tomato because that is in season, peppers that are in season." Although chorizo is associated with the Iberian Peninsula, he added it because it brought "an edge" that the dish required. 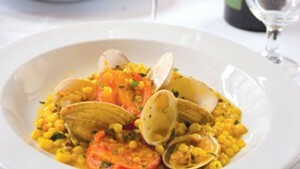 "French cuisine has a lot of influences from trade. 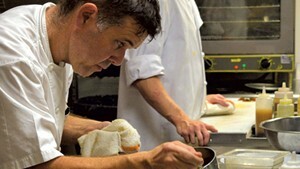 Any cuisine is a fusion, no matter what," said Mahé. 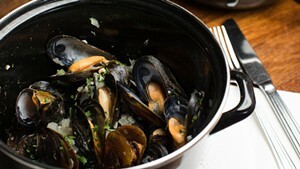 Unlike chefs who change their menu quarterly and offer a couple of seasonal dishes each night, Mahé prefers to change his menu frequently while always offering twists on a few classic preparations — mussels and fries, for instance, or roasted chicken with pan jus. "I don't like specials. The menu is special," he said. Since the fare is driven by a combination of his whims and the available meats and produce, Mahé won't let high demand keep an item on the menu. "Just because a dish is super popular, it doesn't mean we won't change it," he said. Last year, he sold 30 quail in one night. The next night, he took the quail off the menu, he recalled, because he felt its time had come. That impulse stems from an intense interest in seasonality and creativity — a drive to keep things fresh, in both senses of the word. But Mahé's desire to please his customers is just as strong. During this writer's incognito visit, he stopped by my table twice, just to see how things were. He said he strives to chat with every diner, although busy nights sometimes preclude it. "I think it's a good connection to be made," said Mahé, of leaving the kitchen to interact with eaters. "Too many chefs don't do it." By asking direct questions, he has been able to figure out how to tweak food to individual customers' tastes. He's also been regaled with tales of dishes that Vermonters ate in France and would love to see re-created in Burlington. "We're trying to engage our customers," Mahé said, noting that the restaurant is also active on Facebook and Twitter. "I think we gain so much." The original print version of this article was headlined "Marine Adventure"